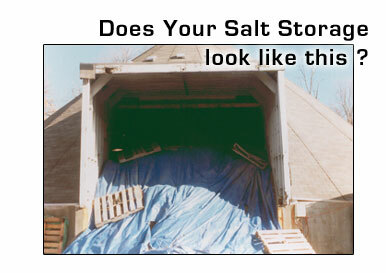 An innovative and economical patented roller curtain door designed and manufactured specifically for all types of salt storage buildings and is entirely different than any other door system presently being used. 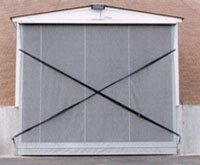 The sensible design that outlasts any traditional door with easy installation and its best features—durability and cost. 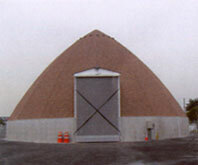 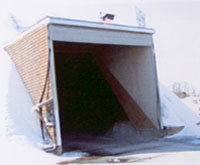 Overhead doors often prove to be costly and ineffective due to damage to the track/doors by either loaders, trucks or by the salt itself.